The love child of two classic holiday drinks… this Hot Chocolate Eggnog with Eggnog Whipped Cream is sure to impress all your family and friends! See ya later apple cider. Good riddance apple crisp. I’m not going to lie. These last couple of months have been quite enjoyable. And I’ll definitely miss you. But it’s eggnog and hot chocolate’s turn. And cookies. An absurdly large amount of cookies. This is one of those lightbulb moments. What if we didn’t have to choose between eggnog and hot chocolate? What if we could have both, at the same time?! That’s right. Hot Chocolate Eggnog. It’s time to impress all your friends and family this season by serving them this elegant concoction and love child of two classic holiday drinks. Hot Chocolate Eggnog with Eggnog Whipped Cream, anyone? I have to admit, I’m actually not a huge eggnog fan. I’ll drink it, but I never really crave it. But guys. When you combine eggnog WITH hot chocolate? Sweet baby Jesus it’s good. 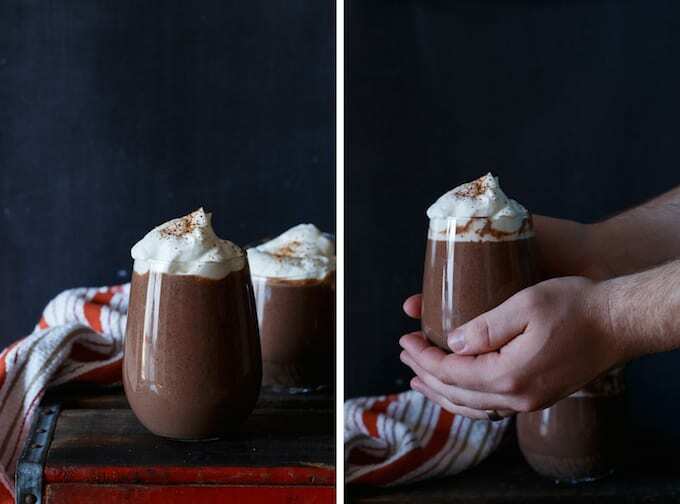 This Hot Chocolate Eggnog with Eggnog Whipped Cream is super creamy and perfectly rich. I’m all about this creative Christmas drink. So, let’s talk about Safest Choice™ Pasteurized Eggs. Bottom line? With Safest Choice, you don’t need to worry about your eggs. The all-natural pasteurization process they use eliminates the risk of salmonella. That’s a HUGE win. You can make your eggs the way you like and keep your family safe. Heck, you can even go all Rocky Balboa on your eggs and drink ’em raw. Safest Choice™ Pasteurized Eggs are all about taste and safety. So go ahead. Get your creative eggnog on. Where are all my eggnog fans at? Check it out. 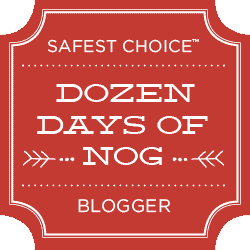 Safest Choice™ Pasteurized Eggs has a special Dozen Days of Nog Facebook Event just for you! You can share tips on baking, holiday preparation, and even enter their special recipe contest. 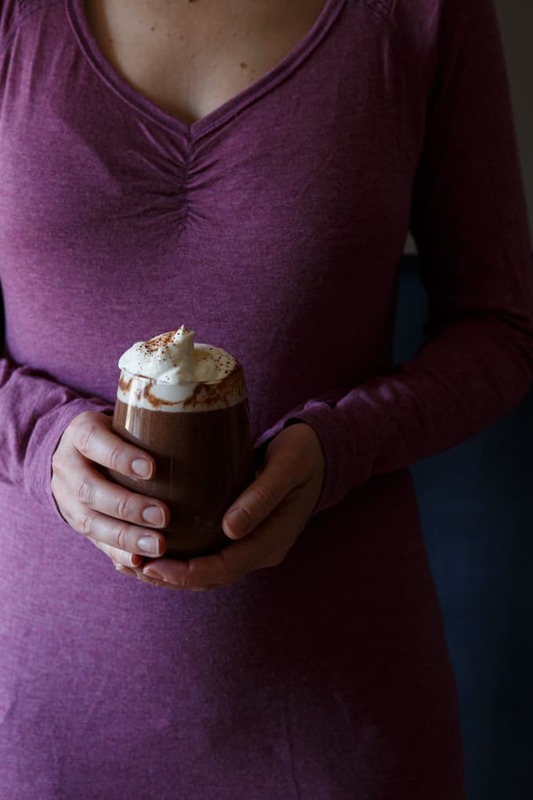 Grab my recipe for Hot Chocolate Eggnog with Eggnog Whipped Cream on the Safest Choice Eggs website! « Miracle-Gro AeroGarden 3SL Giveaway! I am big eggnog fan. Chocolate and eggnog combo can be divine. What a great recipe!!!! You, my friend, are genius. Chris, love this hot chocolate eggnog!!! I’m a dozen days of nog blogger too. . will be posting mine next week .. bring on the eggnog . . woot woot!!! What a great combination idea, brilliant! This looks incredible Chris. Oh my goodness! Chris, this looks incredible!!! 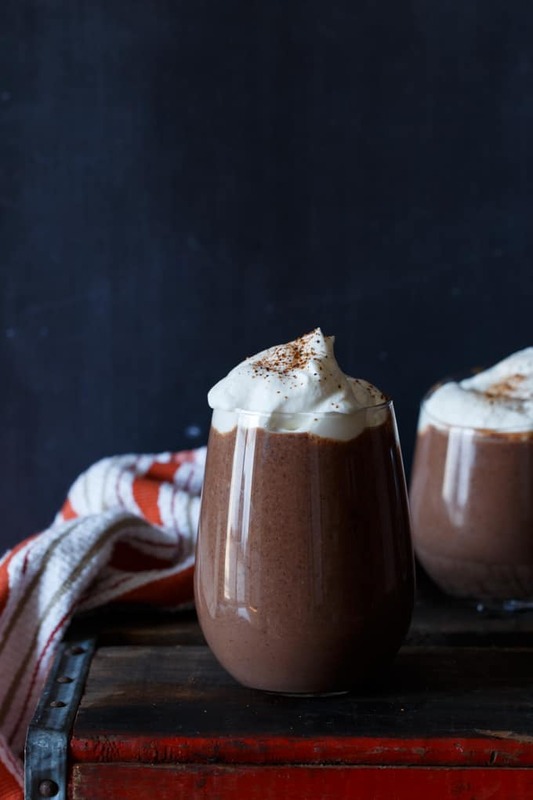 I love the idea of a hot chocolate eggnog! I can’t drink too much eggnog straight up but when you mix it with chocolate and top it with more eggnog whipped cream? Brilliant! I’ll take both glasses please – yum! I’m with you Zainab! It’s so gray and cold and ehhhh outside. This definitely makes my days a bit happier! Holy spandex pants, batman! Love it! Hahaha love this comment… so funny! What?!? Why has someone not thought of this sooner? I mean where has this been all my life? 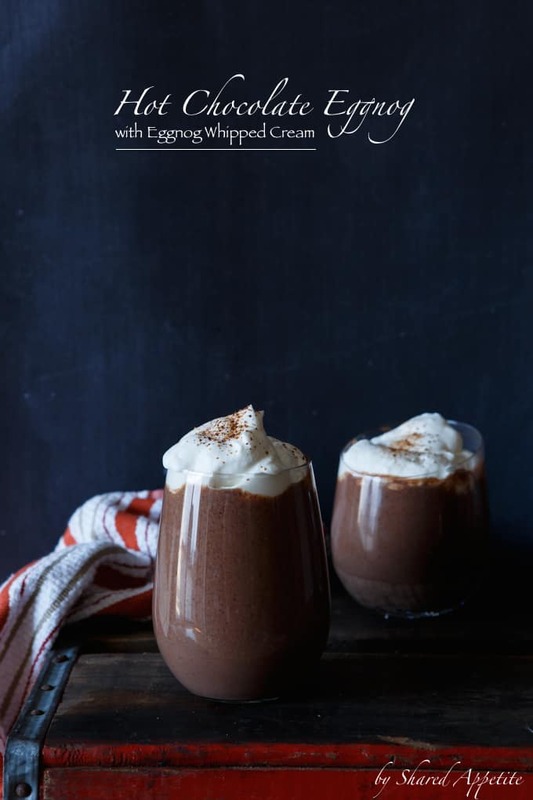 What a great idea to combine hot chocolate with eggnog and your eggnog whipped cream is fabulous! Thanks Betsy 🙂 Yea, that whipped cream is dangerously good! Chris, this looks so delicious! I love your idea of combining chocolate and egg nog. You need to market this quick!! Yay for eggnog…and then DOUBLE x 10000 yay for Chocolate eggnog. This is insane Chris, and I want to drink it ALL! Pinned! You = Genius! This is such a good idea and I bet everything about it tasted like the holidays on overdrive. I wish I had a mug of this right this very second! Gosh I am soo in love with this recipe. I am so glad you participated in this. Mine goes up next week! Thanks so much Jocelyn! Yea, I love collaborating with Safest Choice. They are awesome! I’m with you Marice… straight up eggnog is eh, but with this hot chocolate, I’m all about it! These photos are GORGEOUS, Chris. I love the light on the side of the glass. I bet the eggnog and the chocolate balance out each other’s sweet and richness just beautifully! Soo I’m typically not too into eggnog because it’s a bit too eggy for me, but it looks AMAZING combined with hot chocolate! Need to try this deliciousness! Thanks so much Rachel! I’m totally not into eggnog straight up either… but this combo I’m all about! LOVE THIS!!!!!!!! you know I just discovered eggnog so I am SO incredibly psyched for this, looks beyond delish! Dude did you hack into my brain to make this combination? Insane! You totally nailed it. Hahaha thanks so much Bianca… hacking into brains is one of my side hobbies. Such a great idea Chris! I’m not huge on drinking eggnog, but I love eggnog flavored things. I also love hot chocolate (because, duh) so this is perfect! Pinning! Hahaha I’m not a fan of eggnog straight up, but with the hot chocolate… it’s pretty darn awesome. 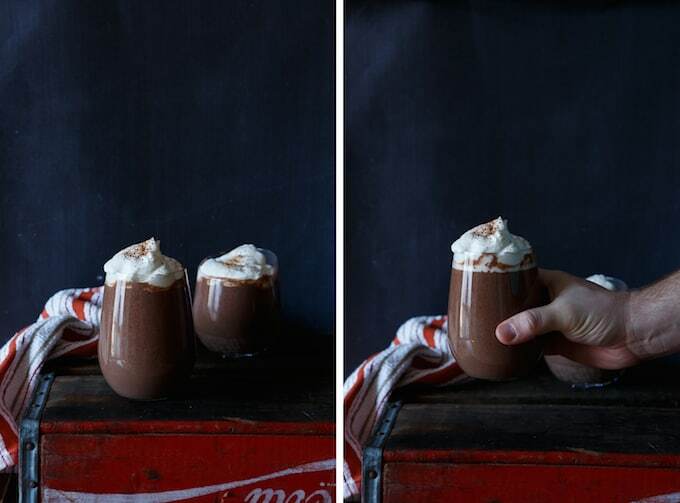 These hot chocolate look amazing, Chris! The perfect, warming treat! 😀 Thanks for sharing! I’ve never tried eggnog and chocolate together. I bet it is amazing! Thanks Nicole! It’s pretty magical for sure!